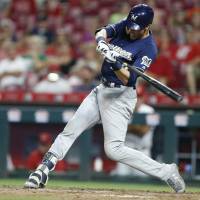 CINCINNATI - Christian Yelich led Milwaukee’s big comeback by hitting for the cycle, and Jesus Aguilar homered in the 10th inning, powering the Brewers to a 13-12 victory over the Cincinnati Reds on Wednesday night. Yelich, who went 6-for-6, became the eighth Brewers player to hit for the cycle and the first since George Kottaras on Sept. 3, 2011, at Houston. 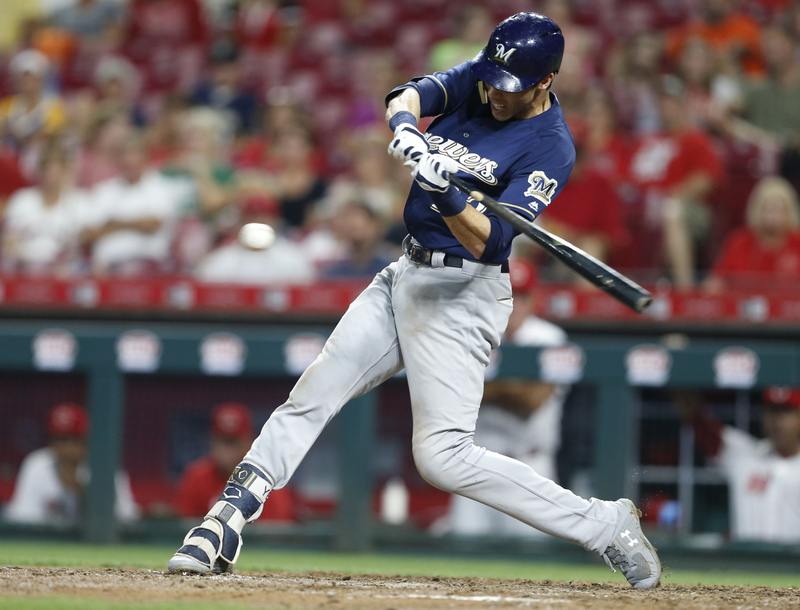 Yelich also matched the club record with six hits of the Brewers’ 22 hits, including a two-run homer. In Boston, Mookie Betts homered early and had a two-run double in the Red Sox’s 11-run seventh inning and the hosts rallied to beat Miami after pitcher David Price was knocked out with a bruised left wrist. In Arlington, Texas, right-hander Kenta Maeda earned his first save of the season in Los Angeles’ victory over the Rangers. Maeda relieved Scott Alexander with the Dodgers up 3-0 in the bottom of the ninth at Globe Life Park in Arlington. He allowed one hit and one run, walked two and struck out one batter. “I didn’t do well personally but I’m glad the team managed to pull off a win,” Maeda said.